ღCheck flight time left in real-time. ღFlight speed of 12.4 mph (20 kph) in windless conditions. 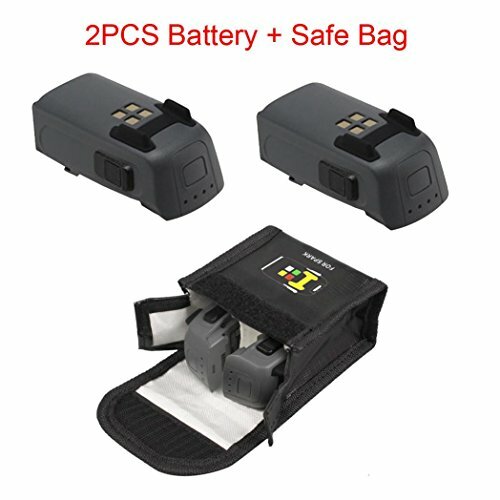 ღRC Lithium Polymer Battery Safety Guard Charge Bag The safest way to charge and store your lipos. ღProtect your workshop, family and home from the hazard of lipo charging. ღThis is a fireproof bag, designed to stop and contain any fire caused by incorrectly charging poorly functioning lipo packs. ღWe always urge all of our customers to always practice extreme cautionwhen charging lithium polymer packs. ღNever leave a charging lithium battery unattended.